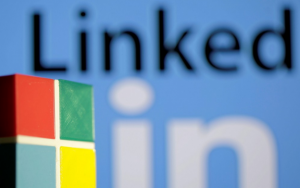 Earlier this year, Salesforce had declared its plans to acquire LinkedIn but Microsoft swooped in with an agreement to pay $26.2 billion for the network, in July. This, of course, put a stop to Salesforce’s plans, at least for the time being; and perhaps the company used that time to formulate a new plan. And that plan is now to request regulators in both the United States and Europe investigate the deal. Salesforce cites concerns over antitrust issues as the basis for the probe, according to Chief Legal Officer Burke Norton. The deal has already been approved for closing in the United States and Canada, as well as in Brazil. The acquisition, after all, is Microsoft’s largest ever, and has already been cleared by U.S. Regulators. It has not yet, however, been cleared for approval in the European Union. Furthermore, the commission is already looking for more information from rivals, which is a common step in the reviewing process to examine such large-scale implications.